Description: Program that transforms Microsoft Outlook to a powerful multitask workgroup project management tool without a server. Create and share projects' workspaces including Calendar, Contacts, Documents, Tasks, discussion boards over intranet-internet. Define member's access rights, control and centralize their activity. Post news, organize meetings, discussions, and teamwork on shared documents. Synchronize data among Outlook 2000/2002/2003 users. Description: Professional software tool for project management and collaboration. Authorized users can simultaneously access the common database through Local Network and Low Speed Network or Internet to see, add, edit and delete their team or personal tasks. It is the best tool to planning, sharing any appointments, projects and another company or employees' activities in small business, government and non-government institutes. Description: Professional client/server software for task management and collaboration. Authorized users can simultaneously access the common database through Local Network (LAN) and Low Speed Network to see, add, edit and delete their team or personal tasks. It is the best tool to plan, schedule, appointments, projects, and any company activities in small business, government and non-government institutes, non-profit and educational organizations. 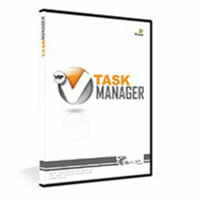 Description: Professional client/server software for task management and collaboration. Authorized users can simultaneously access the common database through Local Network (LAN) and Low Speed Network to see, add, edit and delete their team or personal tasks. It is the best tool to plan, schedule, share, appointments, projects, and any company activities in small business, government and non-government institutes, non-profit and educational organizations. Description: Professional client/server software for task management and team collaboration. All users can simultaneously access the common database through Local Network (LAN) and Low Speed Net to see, add, edit and delete their team or personal tasks. It is the best tool to plan, track and report tasks, appointments, projects, and any company activities in small business, government and non-government institutes, non-profit and educational organizations. 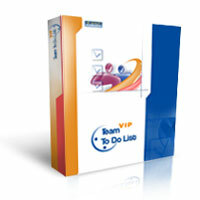 Description: VIP Team To Do List is a professional time and task management software for small and midsize business. It lets users create and manage team to-do lists, publish them on Web or send tasks to team members by email. It's an organizer, planner, notepad and reminder combined in one powerful application. Use our software to organize, prioritize and track tasks, manage projects, workflow and events, plan your team work for days, months and years ahead. Description: Advanced Time Reports is a simple time tracking & project management solution that will help you increase your billable hours by better managing all your projects, clients and working hours. Used by professionals and project-oriented businesses worldwide to perform essential functions such as timesheet reporting and project management. Links to other ATR Products (including multi-user and web versions). Increase your profits and margins!